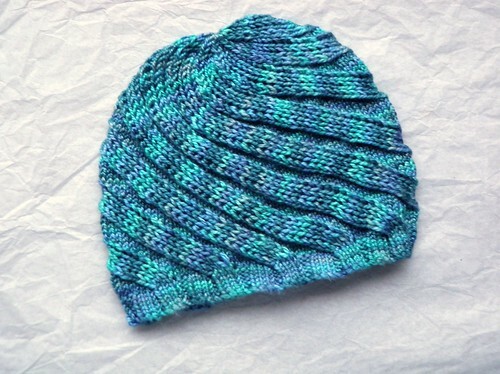 Stariel Knits | Feet and Books and Hats, oh my! Feet and Books and Hats, oh my! If you’d be willing to help, check out the survey, and thanks in advance! As far as hats, well that’s totally unrelated. As you can see I left off the beads. The hat is for a friend’s sister, who has recently started chemotherapy. A knitting friend who went through chemo last year told me that her most comfortable hat was 100% silk, so when I was at Oregon Flock and Fiber I picked up this skein. 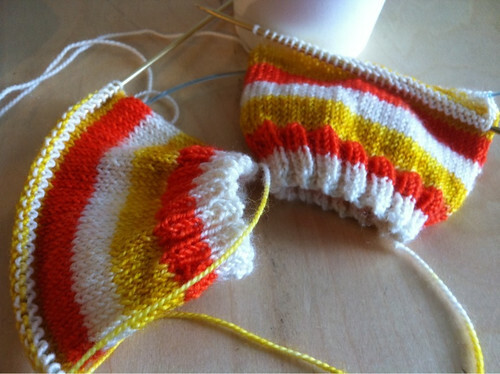 Now to knit away on the Candy Corn Socks… I need those for Halloween! I have no doubt that you will have the candy corn socks finished by Halloween. Oh, and I forgot to mention: CONGRATULATIONS on the book deal!!! It’s a bit of a no-brainer, isn’t it? I mean, you getting a book deal. I just joined your fan group — I’ve been neglectful with reading blogs the past, oh, three years or so.